Gautam Limbo, a marginal farmer from Ujarpada, about 4km from Meghnagar in MP, is depressed as the monsoon is nearing. Meghnagar was developed as an industrial area in the mid-1980s but for past few years residents of a dozen villages, including Meghnagar town are suffering from air and water pollution. More than 80 factories are running in the area, including 15 chemical units and 10 tyre-recycling factories. On May 7, officiating Jhabua district collector Anurag Chaudhary following complaint from villagers, issued a notice to five chemical factories and ordered them to shut down. Chaudhary has also sent samples collected from the factories to laboratories in Bhopal and Delhi and waiting for the reports. He says that the government is not against industries but industrial waste should not pollute the environment and water and be disposed properly. Shekhar Jain, a factory owner in Meghnagar, says the problem is serious. “The chemical factories are dumping waste inside the factory premises by digging a 10-15 ft deep pit. 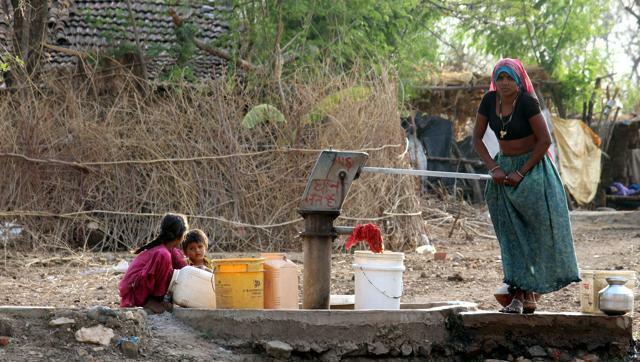 This has affected the groundwater and people are suffering,” he says. He further says that if the authorities search these pits in the industrial area, they can find them in every second factory. Industrial waste emptied in a small nullah that leads to bigger one, which flows through neighbouring villages and forest areas around Meghanagar. Hindustan Times found that the chemical waste in one of the small nullahs was having spirit-like odour and the grass around the nullahs have turned yellow. “About a week back, goats from my village died when the animals drank water from the nullah,” says Jonu Lakshman, a resident of Ujarkehda village. Villages that are affected by the contaminated water include Amli Pathar, Phut Talab, Fetepura , Hirapur, Kakarbadi among others. “Hand pumps in the village produce yellowish water in the morning and only after we pump more than 15 buckets we get clear water,” says Nania Patel, a resident of Amli Pathar village, about 2km from Meghnagar. “We don’t know what we are drinking but situation is not good here. The government should take strict action in this regard,” he says and adds that authorities came to collect water samples but they come in the afternoon. The children of the village usually suffer from diahheara and other water-borne diseases. We have protested against the factories a number of times but nothing changed,” says Jhamko Bhura , an aganwadi worker in Amlipathar village. Maliya Patel, another villager, says that Rabi crop in the village has been destroyed as contaminated water from ponds is pumped to irrigate fields . “Since the past year, half a dozen of cattle died due to contaminated water,” he says. Not just villagers, but residents of Meghnagar town too say they are suffering from the polluted and contaminated water. “Residents of the town suffer from contaminated water, breathing problem and eye irritation,” says Rajesh Bairagi, a rights activist, who has been working residents on the issue. “I wrote to the Prime Minister, chief minister and the pollution control board but in vain. Residents of Meghnagar organized a protest against the factory owners but nothing happened,” he says.